Whether its CNBC, or The New York Times, or NPR, the mainstream media is clearly committed to using the current partial government shutdown to portray federal workers as beleaguered victims of the American political system. 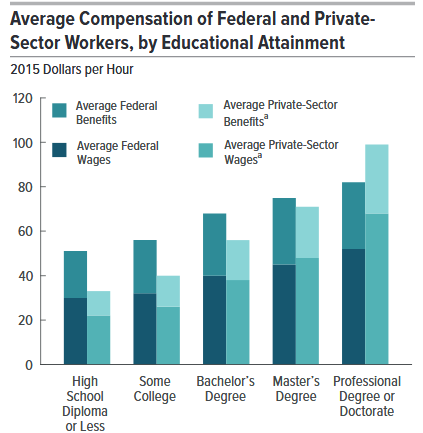 But, in all cases I’ve encountered, these reports neglect to mention that on average, civilian federal workers make 17 percent more than similar workers in the private sector, according to a 2017-2018 report by the Congressional Budget Office. That’s total compensation, so we’re including both wages and benefits.